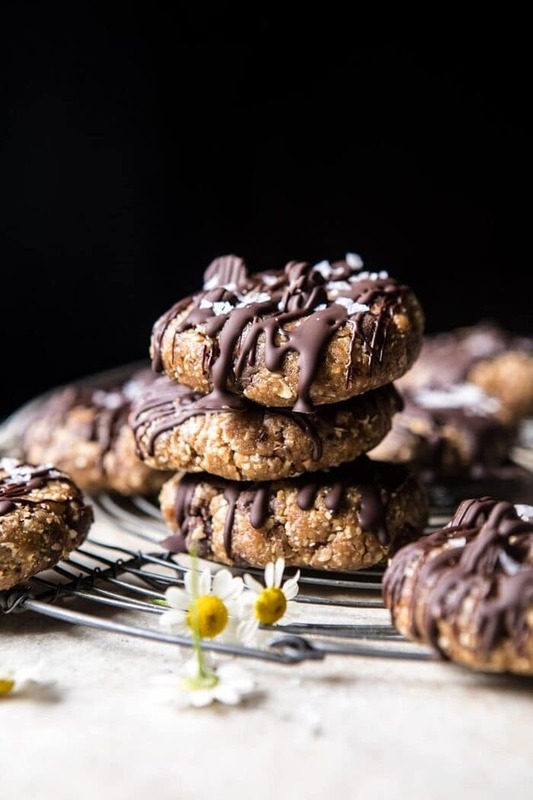 6 Ingredient No Bake Chocolate Chip Cookies. 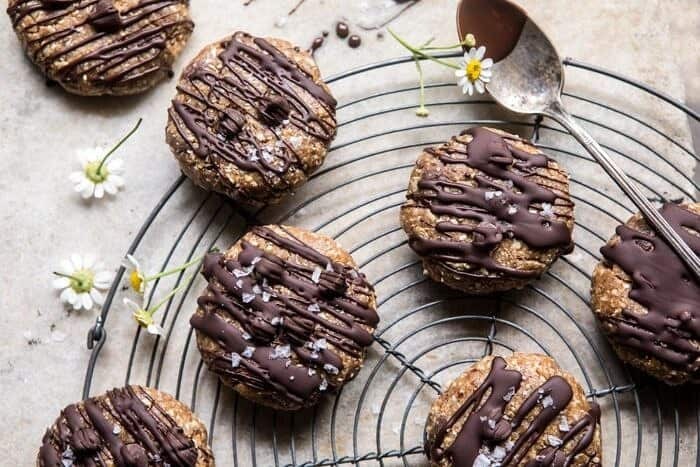 6 Ingredient No Bake Chocolate Chip Cookies. Oh my gosh. These cookies!! I love them. 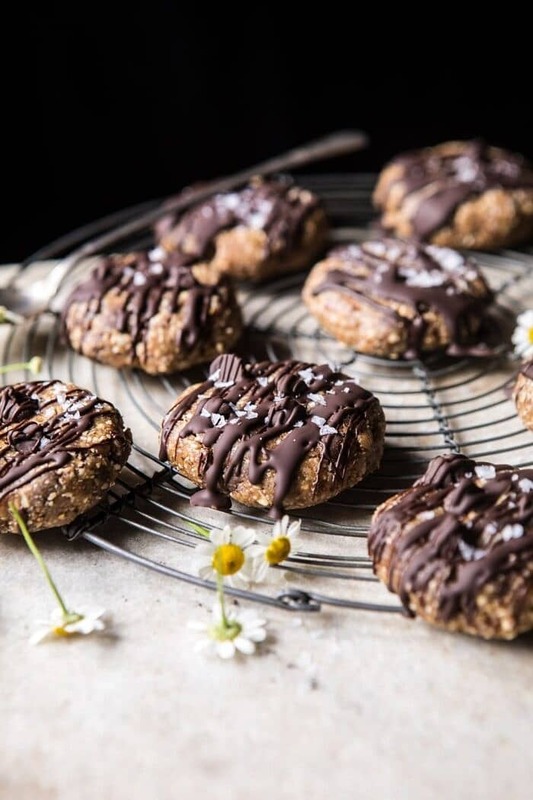 They are 100% vegan, made with six very simple ingredients, free of added sugar, loaded with chocolate, beyond delicious, and require no cooking. In just 20 mins you’ll have a sweet treat perfect for any day of the week. Today is a chocolate chip cookie kind of Tuesday, because even in the middle of the summer, a good chocolate chip cookie is often necessary. 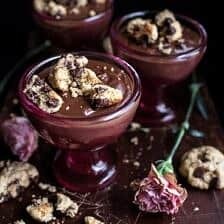 It can be hard to look past all the summer fruits when it comes to dessert, but sometimes chocolate is what you really need. As I write this, it’s storming outside and it couldn’t be a cozier situation. In fact, this dark, stormy, and cool weather has me just a little bit excited for fall (don’t hate me, but I’m actually very excited…). I’m also so glad it’s raining, which might sound odd, but we haven’t had any. We have so many wildfires burning here in Colorado and any rain we can get is essential. Our skies have been so hazy the last few days, due to all the smoke in the air, so we really do need rain, and lots of it. That said, I do love writing this post wrapped in a blanket and cozied up inside, so these cookies feel very fitting for today. And also? I really just think Tuesdays need something sweet. I’ve said this before, but I think Tuesday can be one of the harder days of the week. The high from the previous weekend has worn off and we need something to look forward to until Wednesday comes and we can again set the weekend in our sights. So why not make it special with some cookies?! Yes, yes, let’s do that. 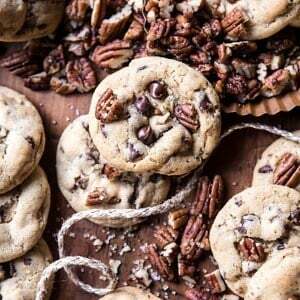 Now, these cookies are not your average chocolate chip cookie. 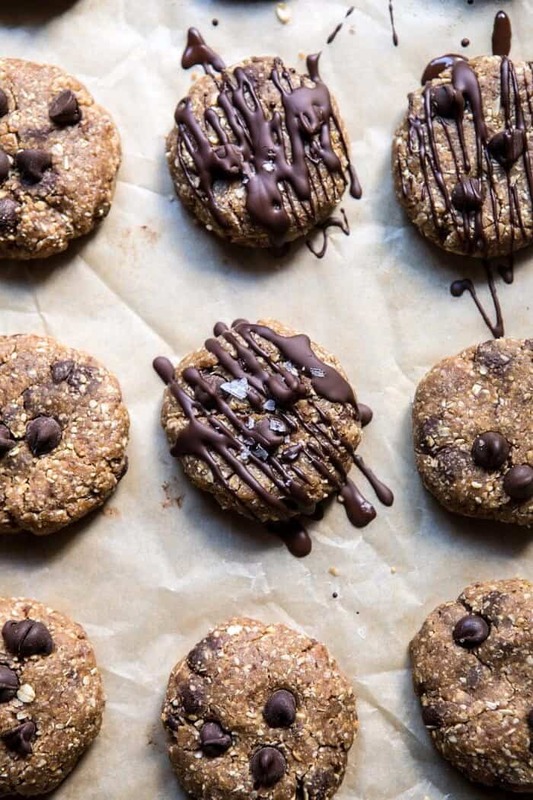 As mentioned, these are no bake, vegan, and pretty dang healthy for a chocolate chip cookie. 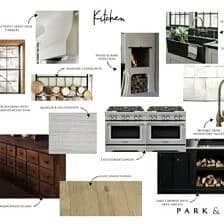 With us now being smack in the middle of summertime, the temperatures are hot, the sun is shining, our kitchens are hot, and many of you have expressed that you do not want to turn the oven on. Like at all. I get it. My kitchen has been an average of seventy-six degrees, with it sometimes going up to the eighties. It’s been just a little bit warm. I personally don’t mind (and actually kind of like it), but I’m a freak and love warmth more than a normal person. Anyway, point is, I understand, you don’t want to use the oven and I’ve listened. Here are the details. There aren’t many, so you ready? 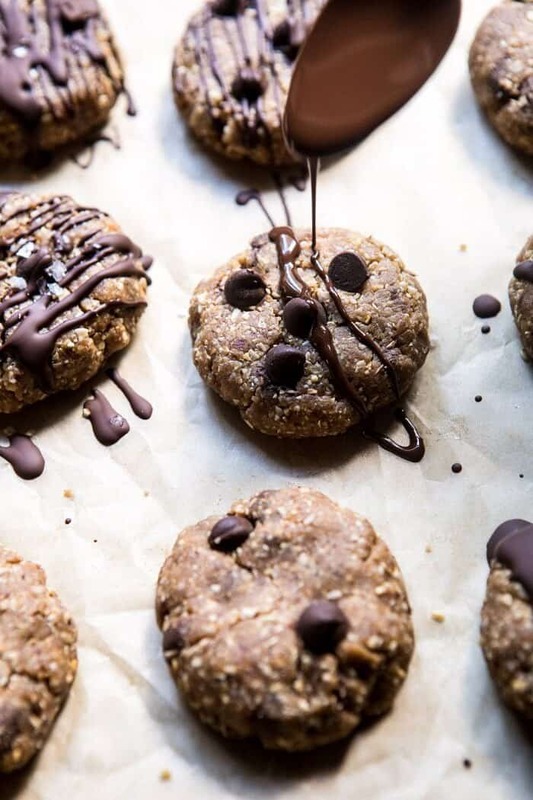 These chocolate chip cookies have just six ingredients, salted cashews, dates, coconut oil, vanilla extract, oats, and chocolate chips. Add the first five ingredients to a food processor and blend until the dough forms a ball and easily holds together when squeezed. Stir in the chocolate, roll into cookies, and chill. 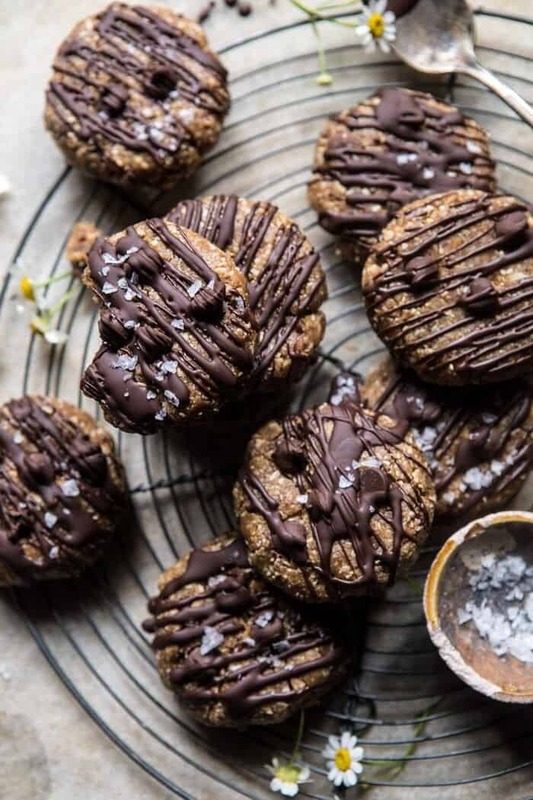 At this point, you can eat as is or take things a step further and drizzle the cookies with melted chocolate and then a sprinkle of flaky salt (my favorite). Obviously, I took things a step further, because an extra drizzle of chocolate and a sprinkle of flaky salt is always a good idea. So, how do these taste? Honestly, they taste just like chocolate chip cookies, but more doughy, soft, and chewy, with a nice nutty, salty flavor. Ok, so maybe a little different, but oh so delicious. 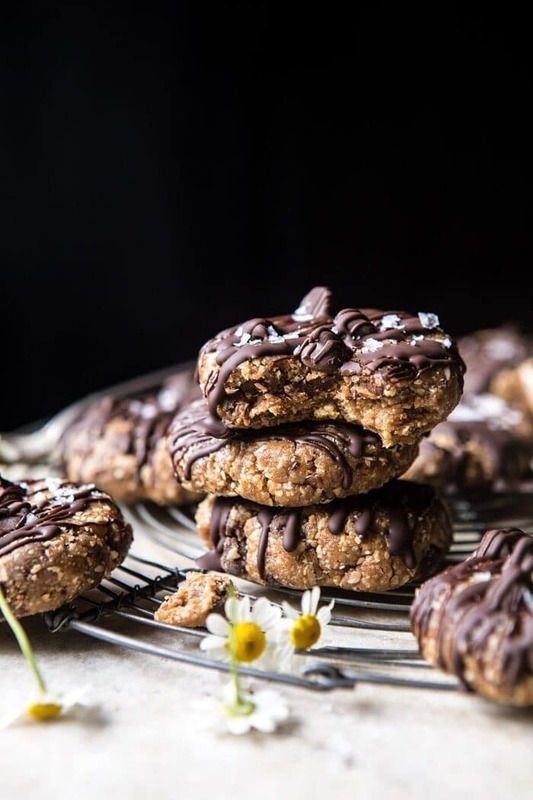 I know it’s kind of hard to believe, but I promise, these cookies are good, and you’ll never know that they don’t have any added sugars in them. I’m loving making these on a Sunday to have on hand throughout the week when my sweet tooth kicks into gear. They are the perfect healthy snack that feels sweet and indulgent, but are actually a great protein filled, nutrient dense snack. Love when healthy food tastes just like dessert! 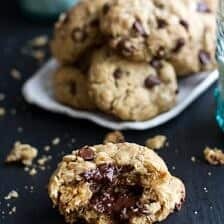 If you make these no bake chocolate chip cookies, please be sure to leave a comment and/or give this recipe a rating! I love hearing from you guys and always do my best to respond to each and every one of you. Oh, and of course, if you do make these cookies, don’t forget to also tag me on Instagram so I can see! Looking through the photos of recipes you all have made is my favorite! 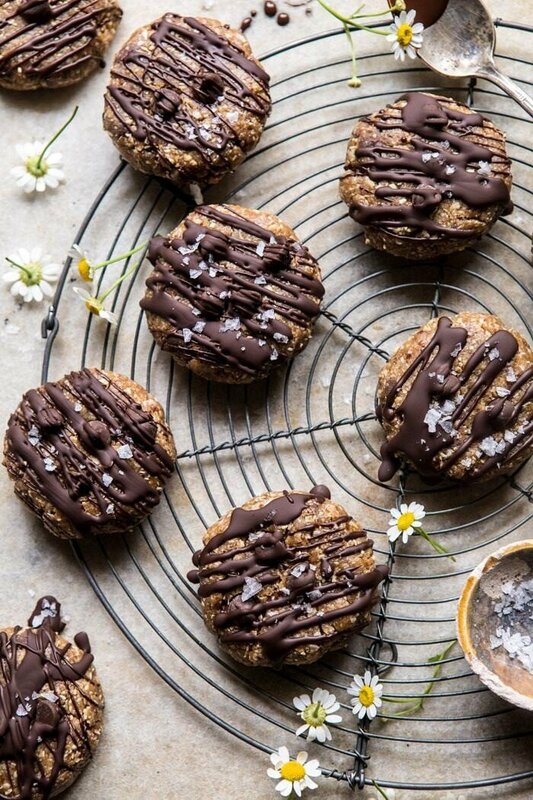 100% vegan, made with six very simple ingredients, free of added sugar, loaded with chocolate, beyond delicious, and requires no cooking. In just 20 mins you'll have a sweet treat perfect for any day of the week. 2. In the bowl of a food processor, combine the cashews, dates, coconut oil, vanilla, and oats. Pulse until well combined and no large chunks of dates remain. If the dough seem dry, add an extra tablespoon of coconut oil and a splash of water to bring the dough together. Stir in the chocolate chips. 3. Roll the dough into 18-20 tablespoon size balls and place on the prepared baking sheet. Using the palm of your hand, gently press down on each dough ball to flatten into circles. Transfer to the freezer and freeze 10-15 minutes or until firm. 4. If desired, melt 4 ounces of chocolate and drizzle over the cookies. Sprinkle with flaky salt. Eat...or let the chocolate harden and store in an airtight container in the fridge. 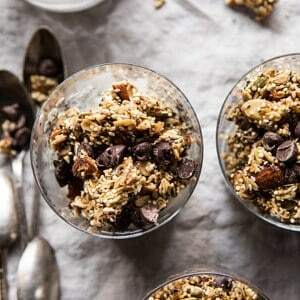 Chewy Chocolate Chip Cookie Granola. ooooh they look really delicious!! these look so good! if I start with raw cashews and toast them, how much salt should I add to the batter? They look amazing. I use only raw cashews so was calculating the equivalent. It is between 1/4 and 1/2 teaspoon for that amount of cashews. Thank you so much Rose! I hope you love this recipe! could you recommend a substitute for the coconut oil? Would something like olive oil work or do I need something with a firmer texture? Thank yoU! These look really yummy. Can’t wait to try it! 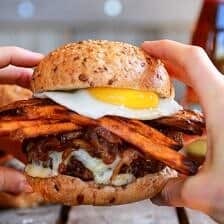 What’s the calorie, protein and carbohydrates breakdown for this recipe? Thank you. These look amazing!! Do you have any suggestions on making this without nuts? My husband has a nut allergy, but I’d still love to try making this if a substitute is possible. Thanks so much, and hope you have a great week! Oh my goodness these sound perfect! We are going to the OBX in a few weeks and I will definitely be making these to take with us for the week! Thank you so much Amanda! I hope you love these! I was wondering though if the nuts could be left out. I have several friends that are allergic to nuts and I do not want to deny them what seems to be a wonderful cookie. Wondering, if Grape Nuts could be used? Yasss!!! 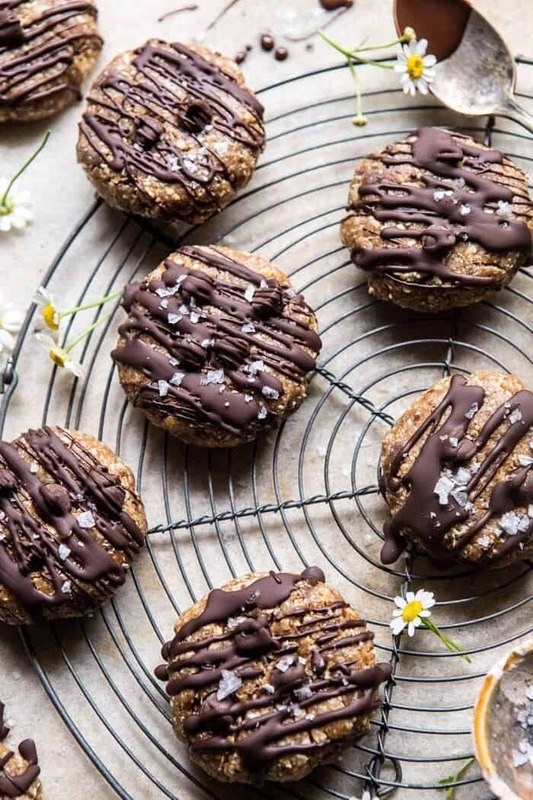 Loving these healthy recipes and no bake is definitely a win in the summer time. Can’t wait to try! 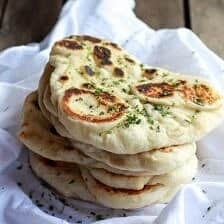 I’m trying to figure out how to make these keto-friendly. The dates and oats need to be replaced. Almond flour is the logical replacement for the oats, but the dates are trickier to replace.. I’m assuming the dates serve as a binding agent? Perhaps a mixture of eggs and erythritol might work as a replacement? (But then we would have to bake them…) Any suggestions? Hi Tieghan! These look great! This question isn’t about the cookies themselves, it’s actually about the round cooling rack! Can I ask where you got it? I’m looking for one! Love this recipe! Would you be able to add measurements in grams for your recipes? Found that I needed to add a little more coconut oil because the Australian cup sizes are different to American measurements and I wasn’t sure whether my consistency was right. Thanks heaps. Hi Chiara! I will look into adding grams to my recipes, thanks for the suggestion! 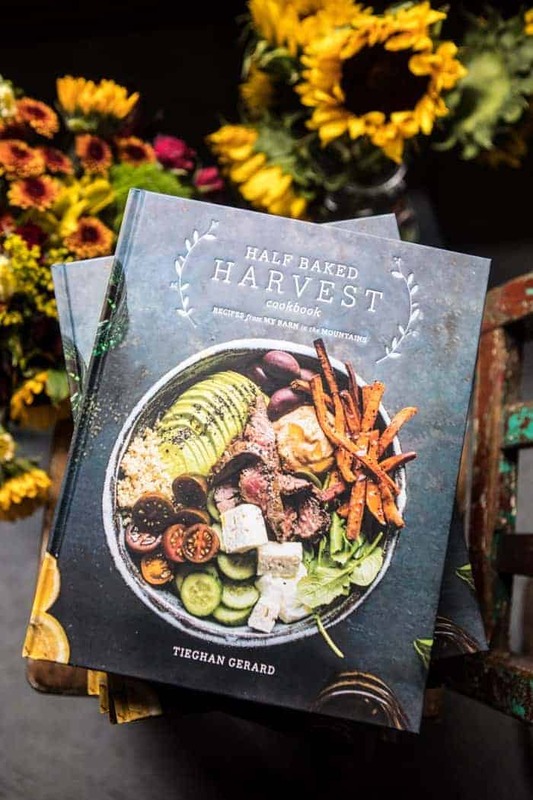 I hope you are loving the recipes on my blog! How about the nutrition information for these cookies? Hi Katherine! I am looking into adding it! Thanks! Can’t wait to try these, I have a severe egg/dairy allergy. Thank you sooo much for this yummy sounding recipe. Do you use dark chocolate? What brand? Hi Carol! I hope you absolutely love these cookies! I usually just use Nestle chocolate chips, but I think that any will work great for you! I hope you love these! I really wanted these to turn out great, but they were a bit dry and grainy. Bummer because they looked so nice in the photos. Hi Cristina! I am so sorry to hear that. Is there any questions I could help you with? Is there any other nut that would work? My daughter is allergic to peanuts, cashews, and pistachios. 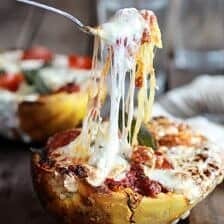 These look delicious and I’d love to make them! Thank you so much Shwanna! These are so cute, look perfect! Will be trying these for sure. Sound delicious! Tieghan, those cookies look amazing and I just need to get some cashews. Thanks for sharing these. Thank you Melinda! I hope these turn out amazing for you! Is it best to keep them in the fridge? Ummm…I just made these and they are RIDICULOUS! They taste like cookie dough! I made 2 minor tweaks: added an additional teaspoon of MELTED coconut oil + about a teaspoon of water. Another tip is to soak the Medjool Dates in water for about 30 minutes then pit them if they aren’t pitted already. These are so friggin’ good! Thank you!!! Hi Vinnie! I am so glad you loved these cookies! Thank you so much! 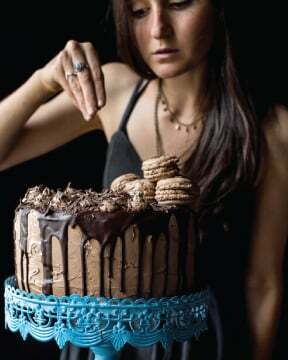 I want my family to make these for my birthday! These were really good – reminds me of some of the Fudge Babies varieties I’ve made (dates, nuts, and other additions). Once I started measuring the dates, I was surprised how many were in here – 2c, I think? So I used 1c dates + some other sweetener (2T sucanat and maple syrup). I used a combination of cashews and walnuts; since the cashews were raw I added about 1/2t salt. What else? I had to use more coconut oil and drizzled in some almond milk because it was very dry and crumbly. When it started coming together, I added dark chocolate chips to the food processor and pulsed to break them down a bit and mix them in. I pressed the mixture into a pan (reserving some to eat! ), so we’ll see if they hold together when I cut them! Hi Karla! I hope you love these and hope they turn out amazing for you! Thanks! I made these this week for my family! They are freaking DELICIOUS!!!!! I plan on making them often to have on hand for a sweet snack. I didn’t even do the chocalte drizzle just to cut down the sugar a bit and still So so good and so so easy. Amazing! Thank you!! I am so happy to hear your family loved these Lauren! Thank you so much! 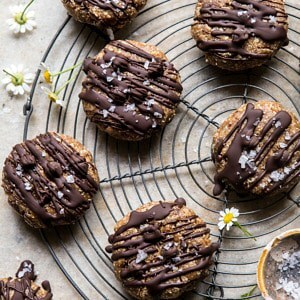 These look great and would love to make then, however, I’ve looked through the recipe several times and don’t see when you add the oats? I’m guessing with the chocolate chips? Or should they be processed with the cashews and other ingredients? Thanks! These were good. I just made them into bite sized balls since they were just for me. If I was serving them to others I would make them into the cookie shape and drizzle with chocolate. Next time I make them I’m going to add some cocoa powder to make them double chocolate! Yum! I am so glad you enjoyed these Emily! Thank you so much! Just made them tonight and they were extremely good. I did not use vanilla extract and used butter instead (which was mentioned in a previous post). I had my daughter eat them and at first she gave me the look when I said it was made with dates. Then she had to admit it was good. Is it suppose to form into a dough or be a bit loose? I think I need to add more oil. Mine was loose but I was able to use my hands to form the cookies and they held. Just a bit messier. I didn’t drizzle any chocolate on it. I also did not put it in the freezer because I did not have space. Hi, The reply wasn’t working. To answer your question, I used room temperature butter to replace the coconut oil. You mentioned it in someone else’s comment. I didn’t change the quantity though. Should I have? I didn’t drizzle chocolate. I will next time. Thanks!